Scranton’s holiday season begins with the lighting of Pennsylvania’s tallest ‘Christmas Tree’, the Times Tower atop the Scranton Times Building. A blast of fireworks, music and fun entertain and spellbind at a gala street fest sponsored by the Times Shamrock folk. 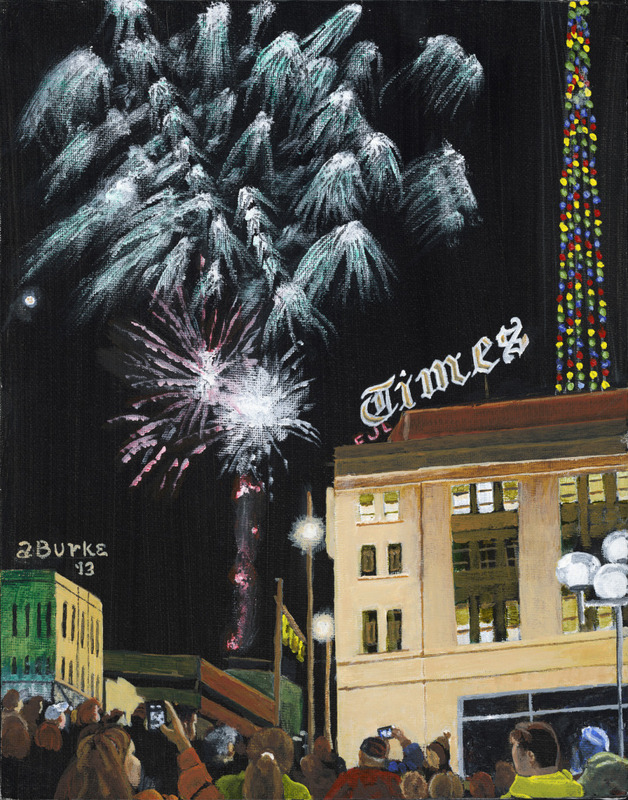 The intersection of Penn Avenue and Spruce Street is jammed each year with thousands of revelers enjoying live music and the fabulous fireworks display. 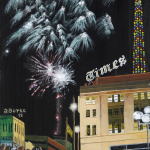 Featured beneath the fireworks and above the crowd is the Scranton Times Building, headquarters for Times Shamrock. The iconic ‘Chicago School’ styled building, designed by Edward Davis and George Lewis, was constructed in 1926-1927.